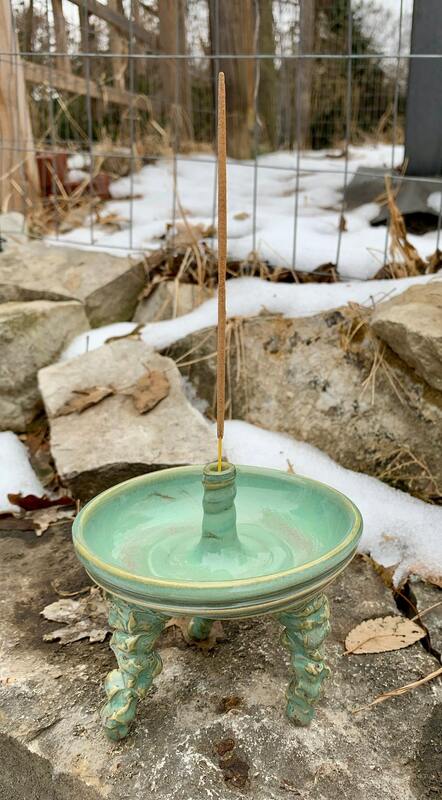 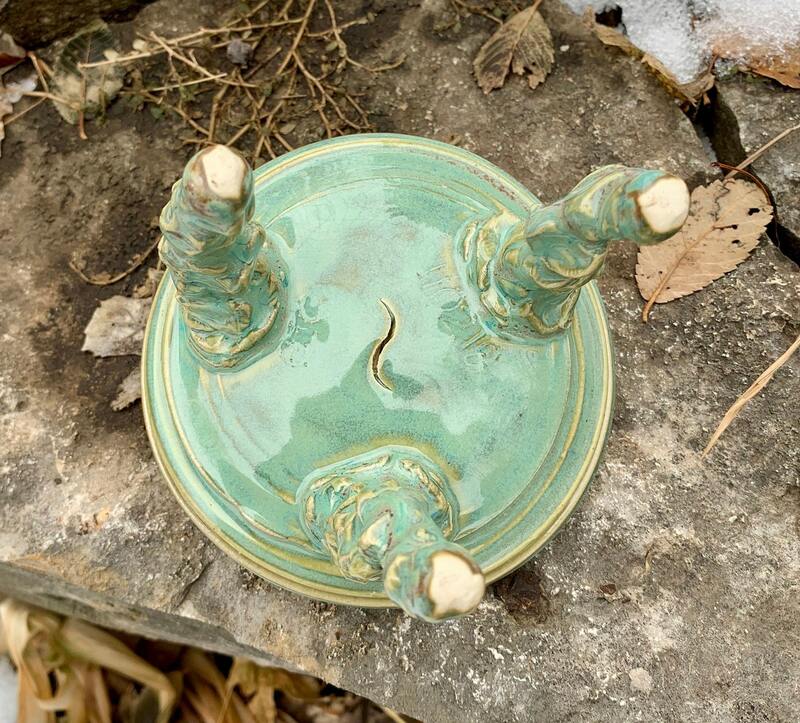 This is a white stoneware incense holder that is wheel thrown with a liquid banded exterior and hand built tripod feet. 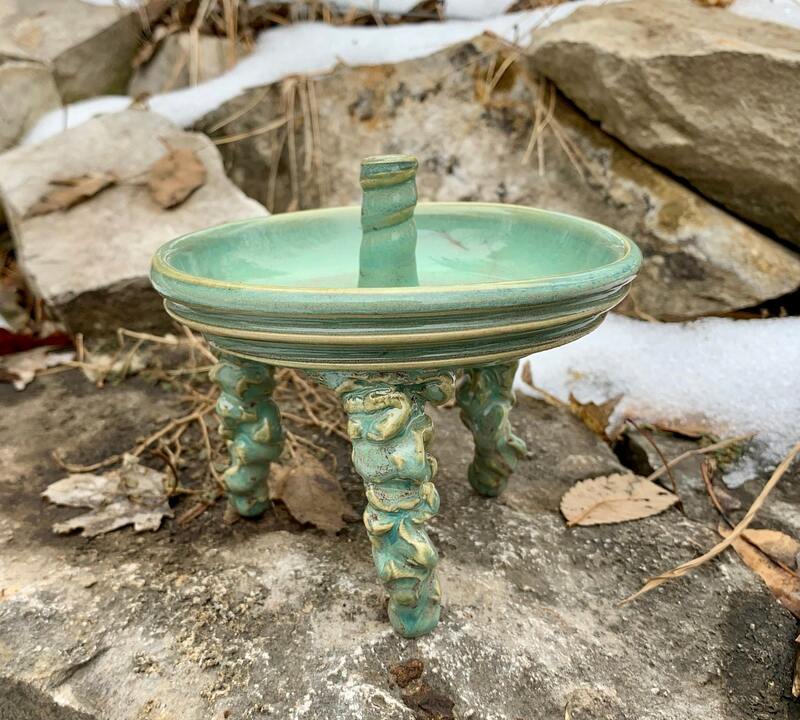 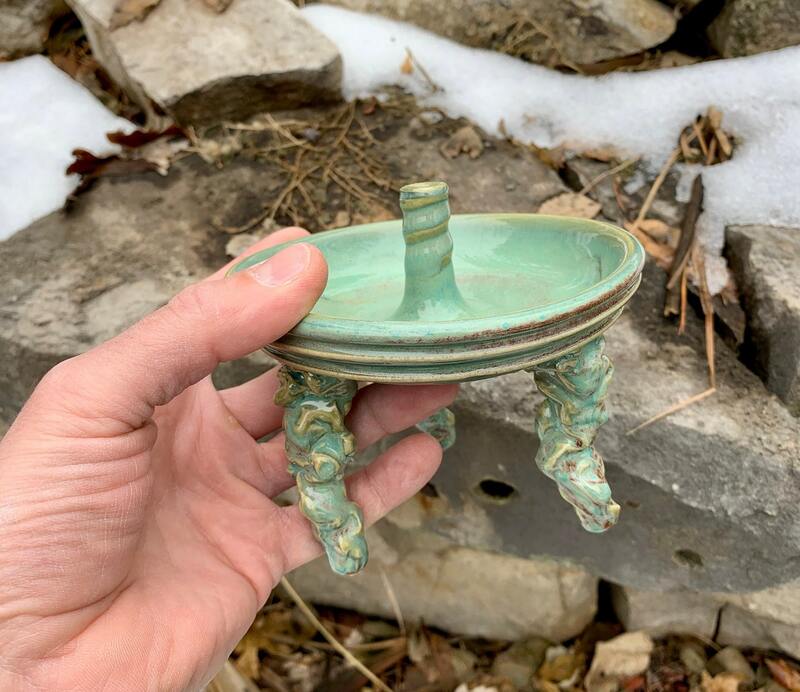 It is signed and dated, glazed in a glossy turquoise green glaze, and electric fired to about 2170 degrees Fahrenheit. 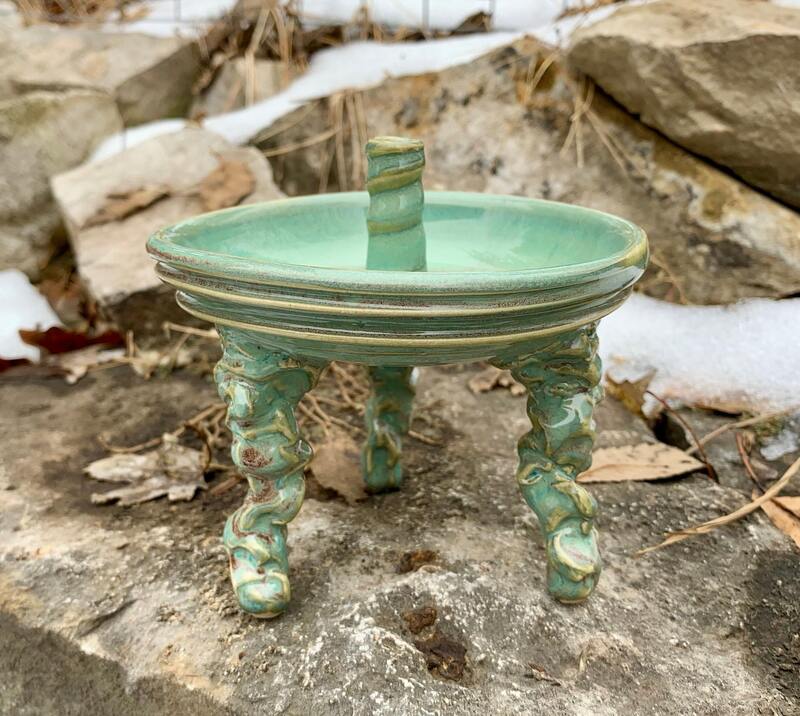 This piece measures approximately 4 1/4 inches tall and 4 3/4 inches wide at the widest point. 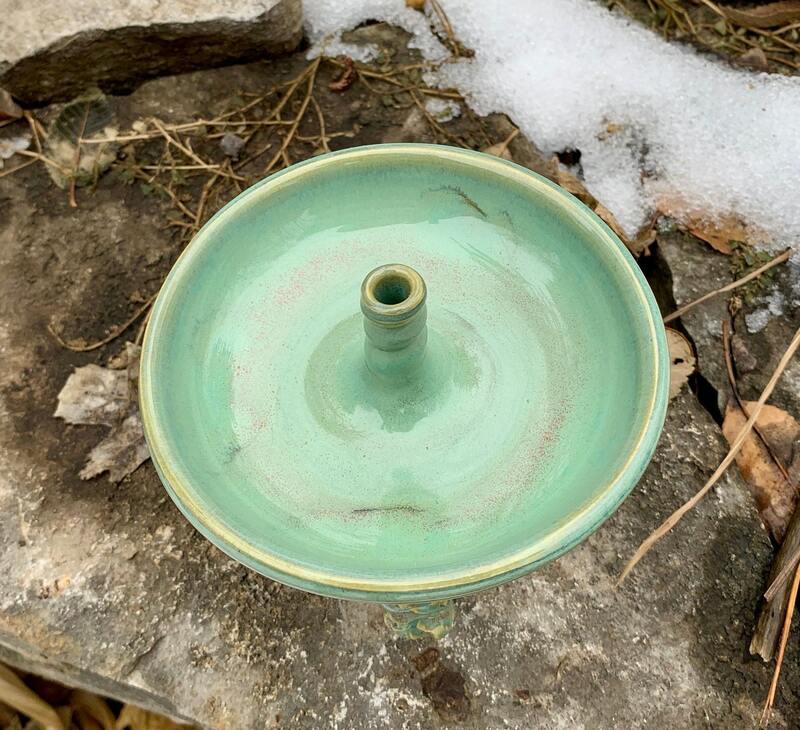 NOTE: this piece did crack on the bottom, and while it doesn't effect the functionality a few dollars have been knocked off the price.